Greetings from The 88 Project! We are bringing you news, analysis, and actions regarding human rights and civil society in Vietnam during the week of March 19-25. Six key members of the Brotherhood for Democracy will be tried on April 5 in Hanoi; this includes founder Nguyen Van Dai and his colleague, Le Thu Ha, who have been detained without trial since December 2015. Other members facing trial are Pham Van Troi, Nguyen Trung Ton, Nguyen Bac Truyen, and Truong Minh Duc. Tran Thi Nga and Nguyen Van Oai have been transferred to remote prisons, the second transfer for Nga in recent weeks. Handyman and activist Luu Van Vinh’s case has been returned to local authorities for further investigation. We remember pro-democracy and anti-corruption activist Phan Kim Khanh and blogger Nguyen Huu Vinh (Anh Ba Sam) as we pass the one year anniversary of Khanh’s arrest and two year anniversary of Vinh’s trial. 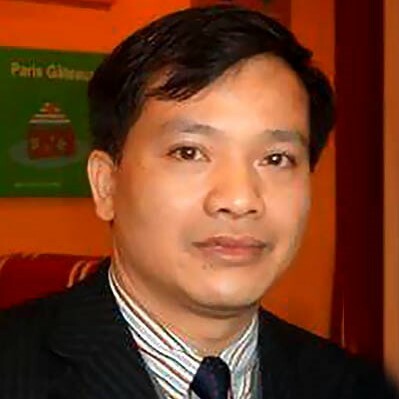 The vice president of the Independent Journalist Association of Vietnam, Bui Minh Quoc, has been prohibited from leaving Vietnam. In international advocacy, read a comprehensive update on recent Vietnamese civil society developments from CIVICUS, as well as statements from Reporters Without Borders and UN experts regarding rights in Vietnam, and read testimony from Vietnam Committee on Human Rights President, Vo Van Ai, in front of the UN Human Rights Council. In the news, catch up on the Vietnam-Australia partnership and a learn about a recent attack on Hmong Christians. In case you missed it, March is Women’s History Month. We highlight four more profiles of female Vietnamese political prisoners this week. Coming up on March 28, Vietnam will try Nguyen Viet Dung, the founder of the Vietnam Republican Party. Please take action for several of the Brotherhood for Democracy members as they await trial. After over two years and three months in pre-trial detention, human rights lawyer and founder of the Brotherhood for Democracy, Nguyen Van Dai, as well as his colleague, Le Thu Ha, have a trial date set. They are charged under Article 79 for alleged subversive activities and will be tried along with Pham Van Troi, Nguyen Trung Ton, Nguyen Bac Truyen, and Truong Minh Duc by the People’s Court of Hanoi on April 5. All are connected to the Brotherhood for Democracy, a pro-democracy group that has been increasingly targeted by the Vietnamese authorities in recent months. Two families found out recently that their loved ones had been transferred without notice to remote prisons. Labor rights advocate, Tran Thi Nga, who is serving nine years in prison, has been transferred to Gia Trung prison, over 1,000 km away from her home province. When her partner went to the prison, he was not permitted to see Nga, as it was reported that she “has not cooperated.” Only a few weeks ago, Nga was transferred to a new facility without notice. Catholic activist Nguyen Van Oai, who is serving a five-year prison sentence, was also recently transferred without notice to Gia Trung, his wife reported. She reports that he is doing hard labor in prison. Transferring prisoners to remote prisons is a tactic often employed by the authorities in order to further isolate political prisoners from their families and networks of support. The People’s Court of Ho Chi Minh City has returned Luu Van Vinh‘s case to the authorities for further investigation, refusing to prosecute him at this time. Arrested in November 2017 under Article 79, Vinh, a handyman, and his friend, Nguyen Van Duc Do, were both arrested for their roles in protesting Chinese activity in the South China Sea and the toxic Formosa spill. Vinh founded a group called the Coalition for Self-Determination for Vietnamese People but was said to have unaffiliated with it before his arrest. We are thinking of young activist Phan Kim Khanh as March 21 marked one year since his arrest. Khanh was sentenced to six years in prison under Article 88 in October 2017 for running anti-corruption and pro-democracy news websites. Prior to his arrest, he was a student in his final year at the International Relations Faculty of the University of Thái Nguyên. March 23 marked two years since Nguyen Huu Vinh was sentenced to five years in prison under Article 258 (“abusing democratic freedoms”). He started the blog Anh Ba Sam in 2007, which featured content on a variety of social, economic, and political topics. Later, Vinh started other websites as well. Vinh eventually backed away from his direct role with Anh Ba Sam, but on May 5, 2014, authorities detained Nguyen Huu Vinh and his assistant Nguyen Thi Minh Thuy on charges related to articles published on two of their more recently-established websites. They awaited trial for almost two years; on March 23, 2016, Vinh was sentenced to five years in prison; Thuy was sentenced to three. Bui Minh Quoc, the vice president of the Independent Journalist Association of Vietnam, was prohibited from leaving Vietnam to visit his son in the U.S. He was told he was barred from international travel for national security reasons. According to Defend the Defenders, he is one of 100+ activists facing similar travel restrictions in Vietnam. Reporters Without Borders is urging France to press Vietnamese Communist Party general secretary Nguyen Phu Trong on questions of free expression and human rights when he visits the country next week. One of their suggested questions is: “What is Vietnam’s response to calls by European parliamentarians to block ratification of the European Union’s free trade agreement with Vietnam?” Read more here. In their latest update on Vietnam, CIVICUS reviews recent developments in the country in the areas of peaceful assembly and expression. Read the update, here. March 8 was International Women’s Day. There are currently 15 female political prisoners jailed in Vietnam. Five of them are serving 6+ years in prison. Learn more about the women by searching by “Gender” and “Current Status” in our Vietnamese Political Prisoner Database. The past two weeks we shared the profiles of seven prisoners; this week, we highlight four more women as Women’s History Month continues. March 30 marks two years since Ngo Thi Minh Uoc was sentenced to four years and three months in prison under Article 88 of the 1999 Criminal Code. She and two co-defendants (who have since completed their prison sentences) were officially sentenced under Article 88 for propaganda against the state after waving flags at a protest in July 2014 in front of the US Embassy; though many believe they were targeted for their land rights activism in the Mekong Delta. Nguyen Viet Dung will be tried on March 28 in Nghe An province. He recently met with his lawyers ahead of the trial; they’ve asked to postpone the trial due to a personal scheduling conflict, but so far, their request has been denied. Dung, an engineer, is the founder and president of the unsanctioned Vietnam Republican Party. He has been detained since September 27, 2017, and will be tried under Article 88 of the 1999 Criminal Code; he faces up to 20 years in prison. Dung has been active in pro-democracy, environmental, and maritime sovereignty activism. Please take Amnesty International’s Urgent Action for Pham Van Troi, Truong Minh Duc, and Nguyen Trung Ton. They are being held in incommunicado detention ahead of their April 5 trial and need access to healthcare treatment. You can also take Front Line Defender’s action for Nguyen Trung Ton, Pham Van Troi, Nguyen Bac Truyen, and Truong Minh Duc, calling for their immediate release from prison.